Here in this bike pic Thursday we found these two bike dudes riding, with traces of snow flying. What better way to continue your fall fun and your #NextBikeAdventure. see our latest articles on destinations and peak color links. 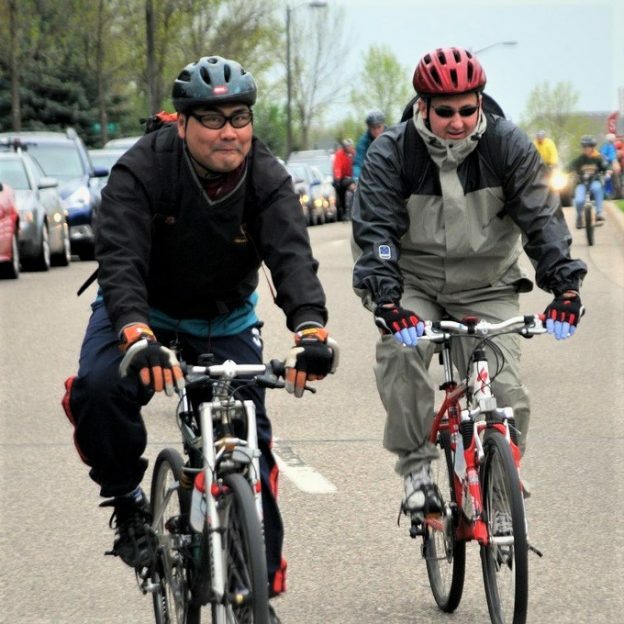 This entry was posted in Picture of the Day and tagged Bike commuting, bike commuting gear, bike touring, colder weather, fall riding, Minnesota Ironman Bicycle, Tuesday on October 11, 2018 by Russ Lowthian.